It's SHARK WEEK at BitFigs.com! 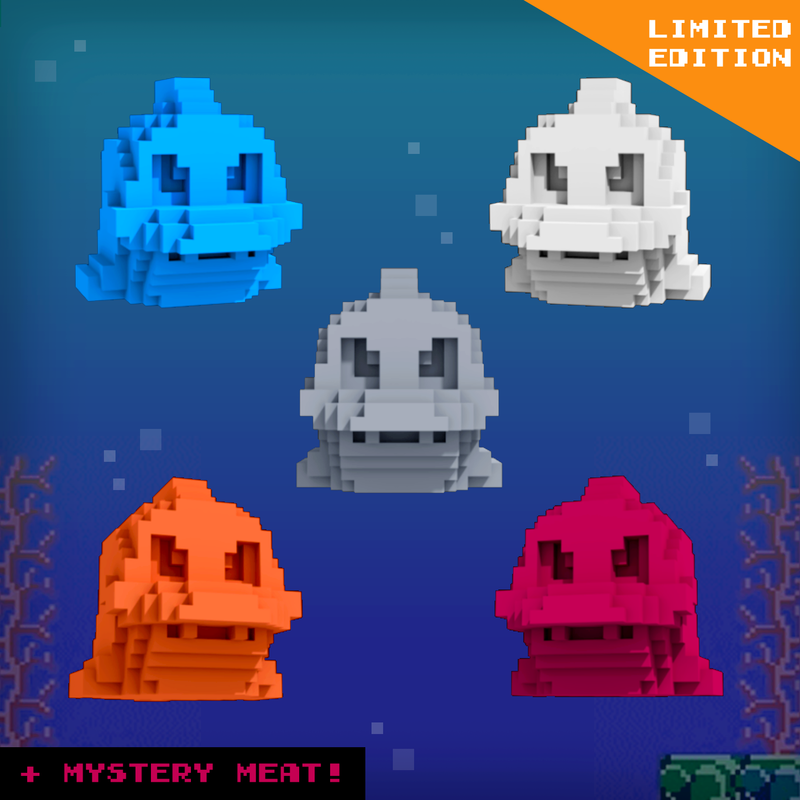 Available now through Sunday, snag a special limited edition SHARK FRENZY bundle featuring 5 Sharks in 5 unique colors + 2 Mystery Meat figures! Or, for the first time ever, go full boat with the complete set of all 25 unpainted Bit Figs Marine Series! While surfing the site, also check out the updated downloads page for FREE printable coloring pages, including an underwater race, new wallpaper and more.